Japan has the most advanced early warning system for earthquakes and tsunami in the world, but that did not prevent 15,885 people from losing their lives in Tōhoku following the fifth largest earthquake ever recorded. Many of these fatalities were caused by inadequate local knowledge (see: Reiko Hasegawa, IDDRI) and poor communication (See: S. Fraser, et al., Report). While the triple disaster of 3/11 was terrifying enough for the hearing population of Japan, imagine how exponentially more terrifying it must have been for the deaf community. It was exactly this thought that spurred deaf documentarian Ayako Imamura (Studio Aya) to pick up her camera and drive to Miyagi Prefecture to find out how the deaf community was coping in the aftermath of the earthquake/tsunami. Her first stop was the Miyagi Deaf Association, led by Shoju Koizumi, who from their headquarters in Sendai immediately sprang into action to assist their 363 members. 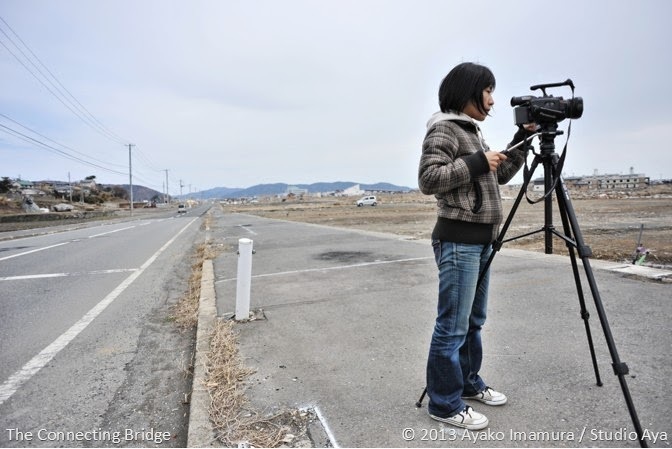 Imamura focuses her documentary film The Connecting Bridge: 3/11 That Wasn’t Heard (架け橋～聞こえなかった3.11 / Kakehashi - Kikoenakatta 3.11, 2013) on the heart-rending stories of some of those members who survived. Although many of them had received warnings of the imminent earthquake on their cellphones, in the immediate aftermath of the earthquake cellular communication went out of service. Not only was this means of communication cut off, but deaf people were also unable to hear the tsunami warning sirens. This meant that only those people who had thoughtful and concerned neighbours and family members were able to evacuate. In Iwanuma City, Imamura meets Teruo Sai and his wife, Naoko Sai, who for forty years have run a barbershop about 2 kilometres from the ocean. The clock in their barbershop has stopped at the time of the earthquake. Their shop is covered in mud and debris from the tsunami. The Sais were unable to hear the announcements and by the time they realised that the tsunami was upon them it was too late to evacuate to the elementary school because the water was already rushing down the street. Fortunately, they were able to survive on the second floor of their house. The Sais’ friends, Nobuko Kikuchi and her husband Tokichi Kikuchi, lost their home altogether. All that remains is the foundation. If their hearing neighbours had not taken the time to warn them, the Kikuchis would likely have perished along with their home. The couple now live in an evacuation shelter. As they are the only deaf people in the shelter, they find it very stressful because they never understand what is going on. It soon becomes evident that the biggest communication problem is that the deaf are often too shy – or in a very Japanese way unwilling to inconvenience others – to let people know what their special needs are. As deafness is not a visible disability, the hearing community often does not notice that there is a communication failure. I was reminded while watching The Connecting Bridge of something Marlee Matlin, the Oscar-winning deaf actress once said: “I hope I inspire people who hear. Hearing people have the ability to remove barriers that prevent deaf people from achieving their dreams.” (Source: Business Week, May 22, 2001). 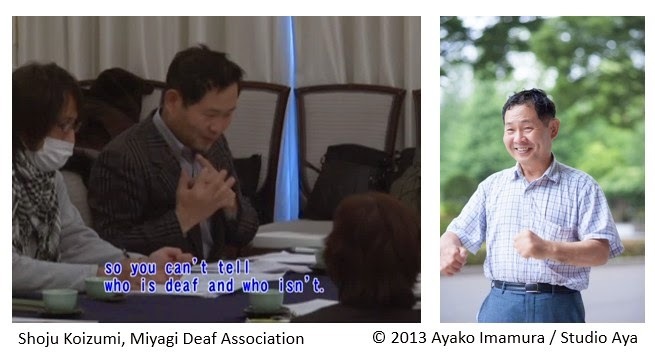 This also appears to be the mission of Ayako Imamura, who hopes that by telling the stories of deaf people to inspire hearing people to take notice and to help build bridges between the hearing and the deaf communities. Imamura is not an objective filmmaker but a subjective one who really cares about the people she is filming. The strong bond that she develops with the subjects of her film becomes evident when Mrs. Kikuchi becomes overwhelmed with emotion and Imamura steps in to embrace her. The confusion and fear felt by these survivors is truly moving – particularly the story of Enao Kato, an elderly gentleman who never learned how to read during his wartime childhood. This means that he is unable to read the instruction manuals for his new property in the evacuation shelter until Mr. Koizumi comes to assist him. 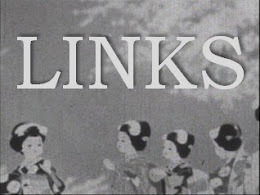 Koizumi is the strongest “connecting bridge” in this film, which is why it is so tragic in the middle of the film when he is struck down by a stroke. His determination to recover from his stroke so that he can return to helping others in his community is truly inspiring. The small acts of kindness depicted in the film, from the young volunteers trying to learn basic signs, to the barbershop customer who waits for the Sais to reopen before getting his hair cut again, are a reminder of how little it takes to reach out to others in our own neighbourhoods to make them feel understood and valued. Not only can thinking of the needs of others spread good will, but when disaster strikes it can also save lives. Imamura bonded with Koizumi, the head of the Miyagi Deaf Association, over a shared love of beer. It also turned out that Koizumi’s hearing daughter is the exact same age as Imamura and Koizumi himself is the same age as Imamura’s own father, so they bonded over this coincidence as well. Regarding the soundtrack: someone asked why she had used a male narrator when she, the director, is female. Imamura responded that she chose a male narrator because the central story for her was that of Koizumi. His own personal story begins and ends the film, and without him she would never had met the people he and the Miyagi Deaf Association were assisting. 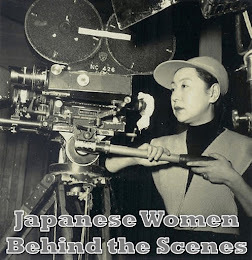 Imamura’s film training in the States was actually on film, so she taught herself how to use digital technology. Imamura expressed her fear of communicating with people who do not know how to sign. Through her documentaries she has learned from other members of the deaf community about how to overcome these fears. 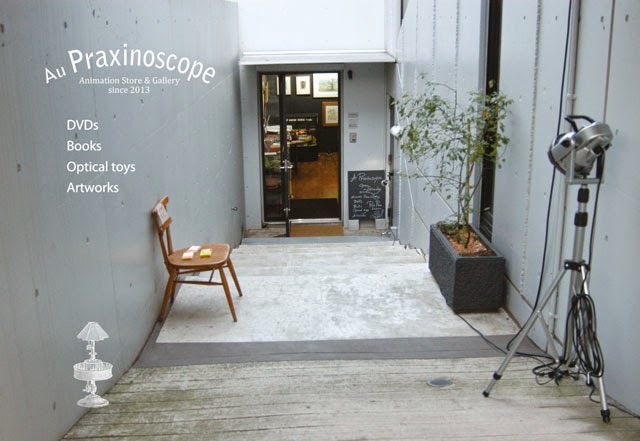 In particular, she mentioned how inspirational Tatsuro Ota, the surf shop owner who was the subject of her documentary Coffee and Pencil (珈琲とエンピツ, 2011) has been to her in the way that he builds communication bridges between himself and his hearing customers. Imamura’s current documentary project will profile a deaf family. 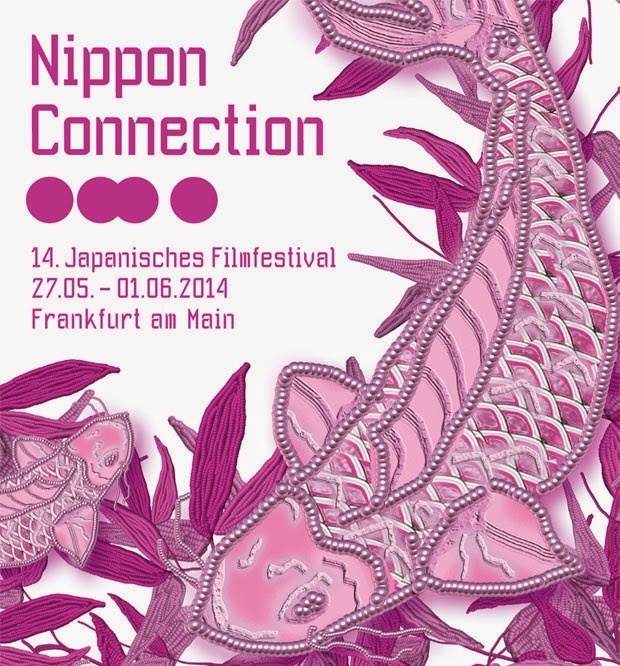 After the Q+A at Nippon Connection 2014, I had a chance to interview Imamura with the assistance of American ASL interpreter Joanna Martin who was flown in from Berlin for The Connecting Bridge’s German premiere. You can see the amazing Joanna at work on YouTube interpreting an event with Berlin-based American author Michael Lederer into DGS (German Sign Language / Deutsche Gebärdensprache). Imamura’s mother was also on hand for assistance with JSL (Japanese Sign Language /日本手話 / Nihon Shuwa). 15 years ago, Imamura spent a year studying filmmaking in the States and learned ASL while she was there (there were no courses in ASL available to her in Japan at that time). She teaches at a school for the deaf in Japan which has close ties with a school in Manitoba (Anglophone Canadians also use ASL). Japan was slow to introduce universal education for its deaf population. As a result, many elderly people did not learn to read and write or to do standard JSL until later in life. Although Imamura was fuzzy on the dates, she had the impression that until about 30 years ago it was challenging for deaf people to receive a full education. When Imamura went to university, it was difficult for her to get assistance with note-taking, etc. This was in stark contrast to her experience at California State University, Northridge, which has a strong deaf community (they are home to the National Center on Deafness). 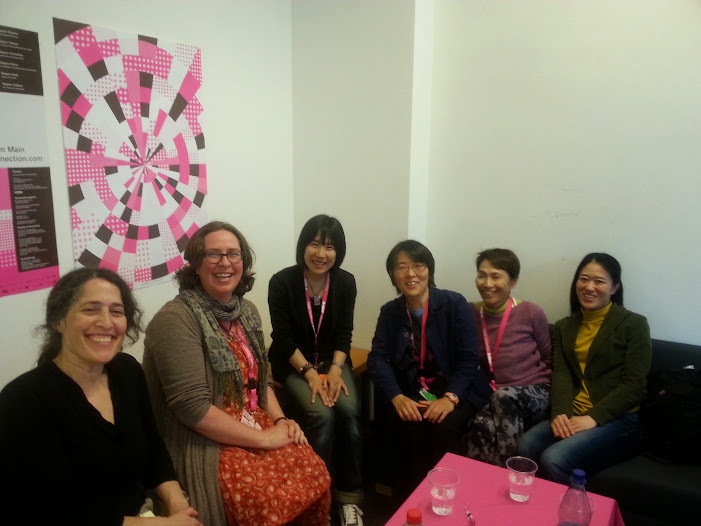 Her experience in the United States seemed to inspire her to fight for more rights in Japan. I noticed on the website of the Japanese Federation of the Deaf that sign language did not get officially recognized as a language by the Japanese federal government until 2011!! 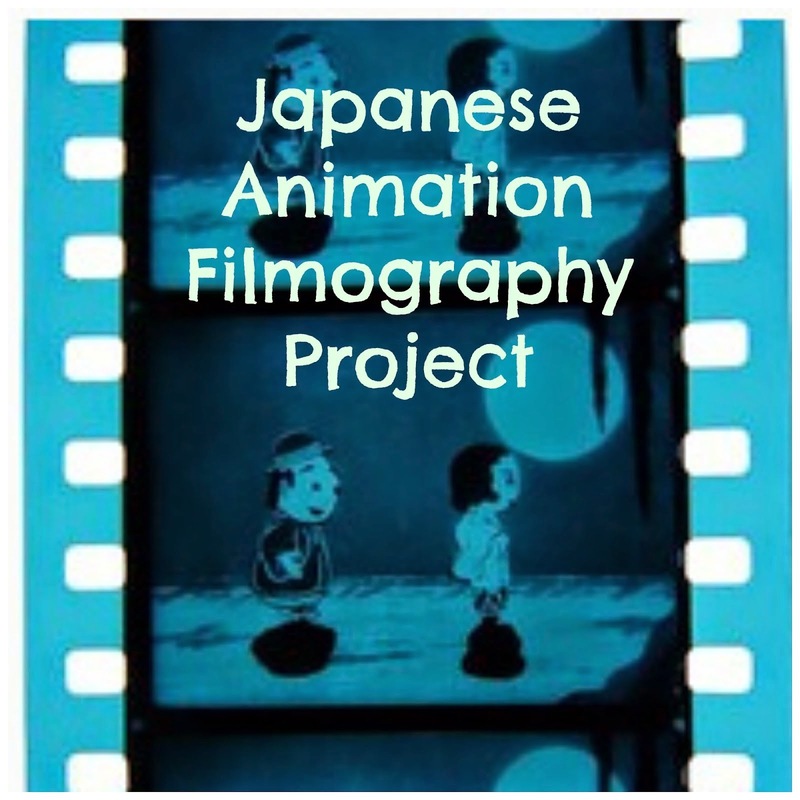 When Imamura was growing up in the 1980s, closed captioned was not yet available for the deaf community. 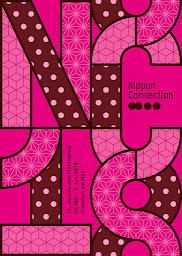 As a result, she was bored by anime and other television series because she did not understand what was going on. Her saving grace was the introduction of video technology. 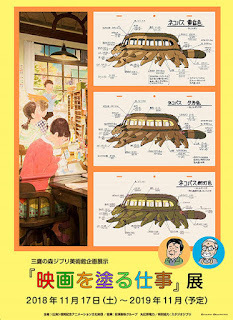 Although most foreign films and series shown on TV in Japan are dubbed, they have a subbing culture for cinema. Imamura’s father picked up E.T. (1982) from the video store for her when she was little and she loved it. Her early movie education was mainly foreign films because they were the only ones with subtitles when she was growing up. The irony was not lost on Imamura that her native land’s movie and television culture was foreign to her because they did not use closed captioning. Modern technology (e-mail, text messaging, etc. has made communication between the deaf and hearing communities a lot easier but there is a major generation gap for elderly people who find new technology challenging. Many of them still use faxes for long distance communication. It was clear from the context in The Connecting Bridge that Imamura would have come into contact with the stories of many of the Miyagi Deaf Association’s 363 members, so I asked her how she selected which people to use in the documentary. She told me that she focused on the stories of survivors. A lot of deaf people did not survive the disaster and the grief of their families was too fresh for her to intrude on their lives. There were also many survivors who felt uncomfortable with the presence of a camera / a stranger documenting their difficult circumstances. So, the people that feature in the films were the ones who opened themselves up to Imamura --- I could really feel when watching the film that the director came to care for the individuals she was recording, and that this friendship would likely continue after the film was done. The subtitles are very prominent in this film. 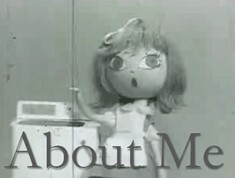 Imamura chose white with black outline for the narrator. Blue with white outline is used when men are speaking and red with white outline when women are speaking.